We all spend much of our lives trying to cope with failure; sometimes we try to assign value to it, but failure looms as a debilitating concept in millions of lives, affecting children and adults alike. 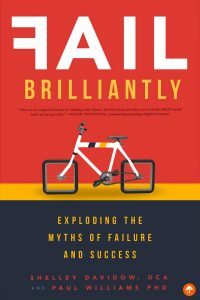 Fail Brilliantly proposes a radical shift: erase the word and concept of failure from the realms of education and human endeavors. Replace it with new words and concepts. This shift in position has the potential to transform our lives and ultimately reshape our definition of success!